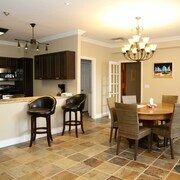 Convenience & location are the reasons for choosing this location. Has a home-like feel, the common area feels like a contemporary living room and the breakfast area feels like a big country kitchen. Where to find Bloomfield hotels near an airport? Where can I find hotels in Bloomfield that are near tourist attractions? 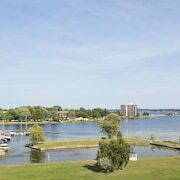 Are you planning to spend some time in Belleville? 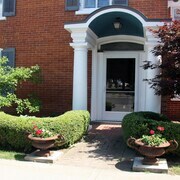 Hoping to find a place to stay in the Bloomfield area? There are 5 Expedia-listed hotels within 0.1 kilometres (0.06 miles) of the center of town. Our hotels within driving distance of Bloomfield include the The Waring House and Sandbanks Summer Village Cottages. 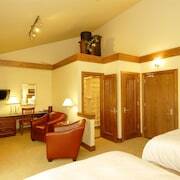 Check out the Fairfield Inn & Suites by Marriott Belleville and also the Best Western Belleville. The Fairfield Inn & Suites by Marriott Belleville is located 25 kilometres (15 miles) away from downtown Bloomfield. The Best Western Belleville, is 25 kilometres (15 miles) away. Two other options worth checking out around Bloomfield include the Comfort Inn Belleville and the Travelodge Hotel Belleville. Why don't you take the time to spread your wings and discover the many delights dotted around Ottawa - Southeastern Ontario while you are here? Ottawa - Southeastern Ontario has forests, rivers, streams and lakes. Commonly visited Ottawa - Southeastern Ontario visitor attractions are old towns, art museums and nature museums. Active travelers can try their hand at cross-country skiing, snow shoeing and snowmobiling in this part of Canada. The nearest hotels in Belleville are Tweed and Trenton. Tweed is 55 kilometres (33 miles) to the north of Bloomfield, while Trenton is 30 kilometres (17 miles) to the northwest. Tweed hotels and apartments include the The Park Place Motel and Trudeau's Park Lodge. 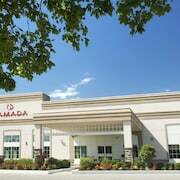 The Comfort Inn Trenton and Ramada Trenton are amongst the hotels in Trenton. Consider spending a few hours cheering along with fellow sports fans at a local game. You'll find Yardmen Arena 25 kilometres (15 miles) to the northwest of Bloomfield. Sports fans wishing to sleep close by can select from the Canadas Best Value Inn or the Holiday Inn Express Hotel & Suites Belleville. If you are planning on flying through Norman Rogers Airport, you may like to book some accommodation at Travelodge Kingston LaSalle Hotel, or Bayside Inn & Waterfront Suites, both of which are a short trip away. 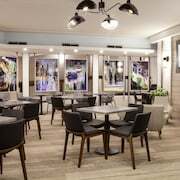 What are the most popular Bloomfield hotels? Are there hotels in other cities near Bloomfield? 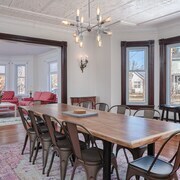 What other types of accommodations are available in Bloomfield? Explore Bloomfield with Expedia.ca’s Travel Guides to find the best flights, cars, holiday packages and more!